It seems to be that time again when I know a few people having babies. 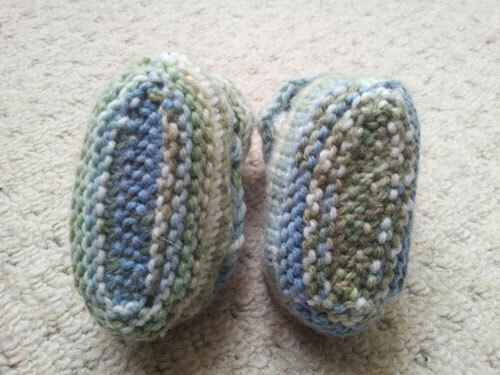 I decided to knit them a pair of baby booties (although I did read a very practical suggestion to knit three in case one gets lost). 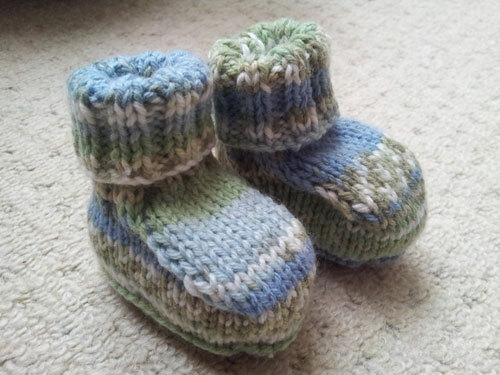 It took a while to find a suitable pattern but in the end I opted for a Sirdar pattern and knitted them in Sirdar Snuggly Baby Crofter DK which gives a lovley multi-coloured finish.